Join the Archery Counselors on a trip to the range. Create your own targets, shoot balloons or pinatas, compete in contests. There can definitely be moving targets. And of course Ajax’s infamous “sharp things”. Archery not your thing, but Ute Indian hatchets are? Well, you are in luck. 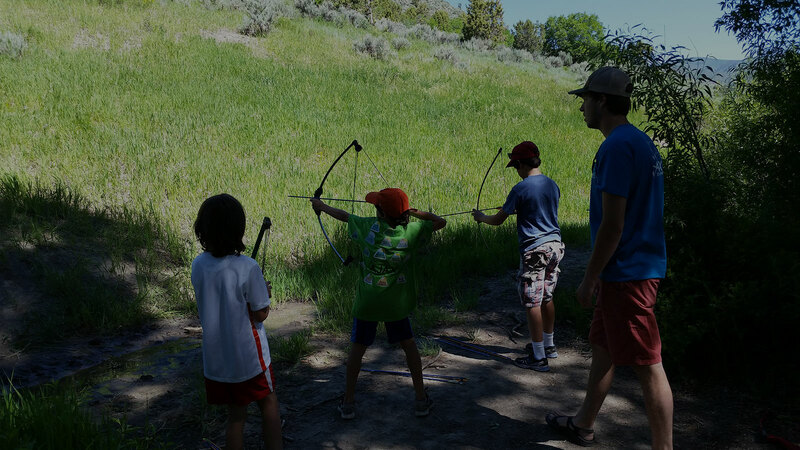 One of our directors, Trent Jameson, is an expert in making anything sharp stick into a target and has certified counselors in these activities at other camps. He even has a mini-school in the off-season for adults!